So you want to build an incubator. Pt 1. We did, and here’s what we learned. A brief intro first. I’m Scott Howard. I’ve worked on a lot of launches for products and businesses both helping the teams working on the launches or the financiers looking at the teams and markets. It’s great fun, I get to learn a lot with every go, and I love working with teams on early stage growth. But you’re here to see if there’s anything to glean from my work helping launch an incubator. I have been asked to share these thoughts more and more lately so I thought I’d put them down in hopes they’ll be helpful for even more people. I’ll cover: 1) Why would a company want to form an incubator?, 2) How incubators differ from internal “venture-style” programs, 3) How to sell an incubator internally, 4) What else is required for an incubator to be successful, 5) How to identify and align with your stakeholders, and 6) How to get the Incubator up and running. We need to get one thing out of the way, I am writing about the perspective of launching an incubator from within a company (“corporate incubators”), not as a standalone entity or within a venture firm. I am not saying the teams will be exclusively internal “intrapreneurs”, in fact, I focus on a program that involves external entrepreneurs. The motivations, goals, and acceptable outcomes are very different for standalone vs corporate incubators. A quick note on terminology: I’ll use the word “company” to refer to the entity that is launching the “Incubator”. I’ll use the word “startup” to refer to the entities within the Incubator. Some will call the latter “projects” but I’m purposefully choosing startup due to the meaning and culture that goes with it. Q1. Why would a company want to form an incubator? How do companies use resources? Companies are created to provide value to their shareholders — value in this context being financial returns (still basically true even for B-Corps). You want to put X resources in and get more than X out. The day you can’t do that consistently is the beginning of the end for that company. Cash is oxygen to let you fight another day. Either the company will continue to put X resources in and get less than X out until the company goes bankrupt (runs out of oxygen), or the company will sell off its remaining assets and return some of the resources to the shareholders. So we have to assume that if a company decides to start an incubator program, they are attempting to put X resources in and get something greater than X out. Before they decide to pursue an incubator, or marketing, or capital improvements, or anything else for that matter, they must first understand all the various ways they can deploy resources and determine that each particular use is the “highest and best” use of those resources. Why invest X dollars into the business and get 1.1X out when you could get 3X? It’s little more complicated than that, but functional as a general rule. So besides an incubator, how else could a company use its resources? So in each of these areas, a company can choose to apply X resources and hope to get more than X out. A marketing campaign goes well and sales go up. You discover a new way to build a system’s infrastructure and can bring a new product to your customers. You buy that new conveyer belt that makes your production rate double. You hire some new talent that brings intelligence, creativity, and rigor to their work and you get more efficient. Why would you invest in anything outside the traditional bounds of on operating company’s functions? Where does an incubator even fit in? I argue that investing in those traditional functions is not enough for a lot of companies and that an Incubator 1) Diversifies your explorations for growth, and 2) If built appropriately benefits all of these functions. 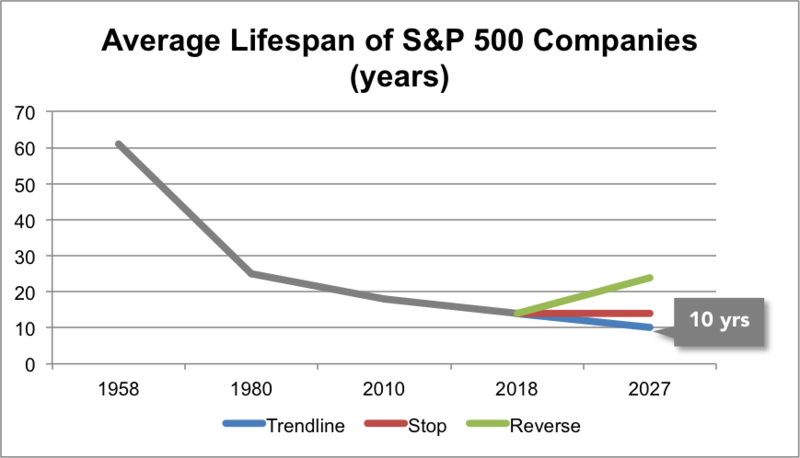 A great proxy for company survival is the average lifespan of S&P 500 companies. In the 1950s a company could expect to live over 60 years, but by 2027 that number is trending towards just 10 years. How does this trend towards short lifespans stop (red) or reverse (green)? Well in all honesty, you don’t care about the average. You care about your company. And for your company to stay alive you need to be exploring and willing to adapt — otherwise your competitors will and you will stagnate. It begins on the individual company level, where companies purposefully seek out exploration in the hopes of evolution, innovation, and expansion. 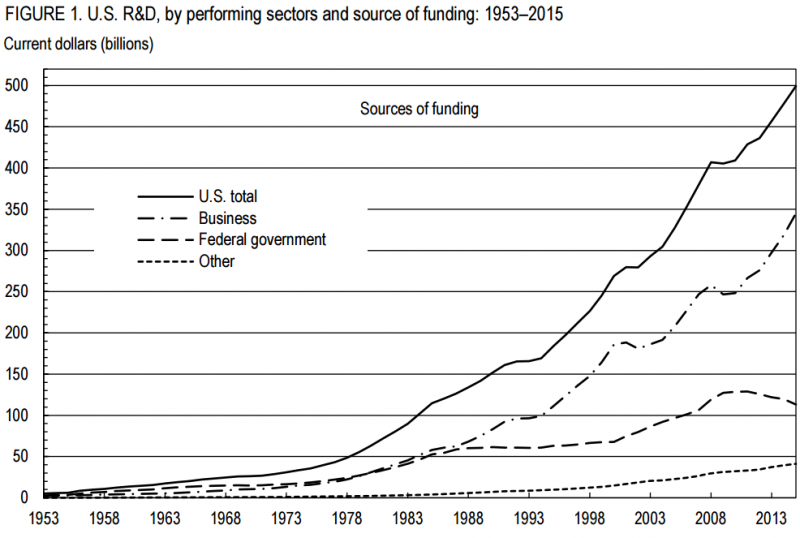 Research and Development (R&D) spending has been growing in the US. In fact the National Science Foundation estimates that US R&D funding hit $499 BILLION in 2015, an all-time high. At the same time, the federal share of that spend was a record-low of 23% (an issue for another post). This means US companies are spending more money than ever on exploration. Since we are spending more and more on exploration we’d expect more and more success and therefore more output from that spend on R&D. To investigate if we are achieving more output, let’s consider the US GDP as a measure. Specifically, let’s look at the GDP growth rate by quarter. Our economy IS still growing (most of the bars are above 0), but they are generally growing more slowly (more in the lower single digits than in the 5–10 or above range). It’s pretty easy to pick out from the chart that the frequency of the growth rate being above 5% was higher in the 13 year period 1989–2002 than it was 2002–2015. So we’re spending more on R&D but getting less economic oomph overall. Ok, so now that I’ve convinced you that exploration is expensive are you ready to hunker down and hide? Perhaps just focus on executing business as usual instead? That’s not a good idea either. Remember that chart I showed you about the average lifespan of S&P 500 companies? A lot of them were executing really well. They had smart employees that worked hard. What they didn’t have was exploration, at least not the succesful kind that leads to new profits, more oxygen, and the chance for the business to stay alive for another day. What happens if you do not successfully explore? Let’s take the packaged food space as an example. In 2015 major packaged-food companies lost $4 billion in market share, much of it to smaller, more health-conscious companies. These upstarts were exploring alternative ingredients and delivery mechanisms, crafting better brands, and engaging with consumers in new ways. They were/are winning. In short, you may not explore, but your competitors and new entrants definitely are. And they all want to see your company lifespan at zero. How does your company explore today if at all? What are the alternatives out there? Happenstance or “on the job” discovery — someone makes a discovery during the course of their job that aids in the evolution of the company. Congrats, you got lucky! Problem solving discovery — you discover a problem that needs to be solved either through the course of regular work or a focused workshop. Then you go back to the start and work towards overcoming that barrier between you and growth. This works but requires that you can identify the barriers keeping you from your next evolution. It also often results in focusing on adjacencies and incremental gains. That’s not a bad thing, just not what we’re looking for. R&D — you spend internally on exploration. This goes beyond “problem solving discovery” and commits firm resources regularly. Since R&D is performed by practitioners within the firm, they are subject to the politics, focus points, and biases of the organization. Also, most R&D has relatively small time and spend allowances before demanding positive outcomes (at least directionally). I place most “internal venture” programs within this category and will explain that later. R&D is best at discovering adjacencies to your existing offerings and is contrained by operating in the same business environment as day-to-day work. Incubation — you set up an environment that 1) facilitates the “startup’s” success, and 2) applies the pressures a startup would face that are crucial for growth. Incubation can bring outside companies into the fold or be internal teams that act as “startups”. Either way, there is fairly substantial separation on a day-to-day basis of the startups within the incubator and the rest of the firm. Incubation requires a good degree of separation so the startups can operate in the necessary environment. Acquisition — you can acquire another company that has been more explorative than you. This happens either early (cheaper but risker) or late (more expensive but less risky). Acquired new technology or products must be incorporated. Same for acquired talent. You’ll have to let me know which you think is more difficult. The first three (Happenstance, Problem Solving, and R&D*) are substantially “internal”. Incubation crosses the chasm between internal and external. Acquisition is purely external. (*Yes, R&D can have external partnerships, but still substantially internal). Acquisitions happen when those outside your company have explored and executed in ways you have not. This can be downright expensive, especially for well established brands. Back to the consumer-food space for a second. Two recent examples General Mills acquiring Annie’s for $820M and Campbell’s acquiring Bolthouse Farms for $1.56B show just this. When it comes to who captures the value in an acquisition, a lot of it goes to the target that was purchased, not the acquiror. Worse… remember, 83% of mergers fail. Increasingly, companies are setting aside a pool of money to make small bets on internal projects. 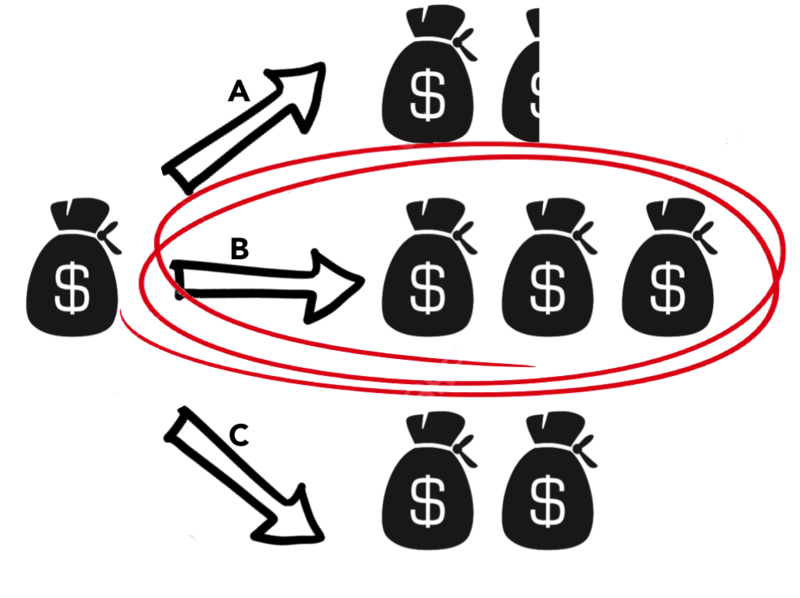 I have client companies that have created the equivalent of an internal venture fund — they use a stage-gate process and as an idea progresses through those gates they allow it more resources (oxygen for ideas). This is not too disimilar to how startups raise capital in the wild. You have an idea and raise money. You do some work and if you show some progress, you raise more money. Repeat until success (or failure). The companies go so far as to create “innovation funnels” with the goal of vacuuming up every single idea in the company into the top of the funnel, from the front-line shelf stocker to the upstairs senior managers, and then putting those through the stage-gated process to see what comes out the other side (whether it is incorporated into the company, spun off, or fails). First, let me say that I have seen some successes through this process. Even some VERY BIG successes. Ideas generated via this process have been workshopped, tested, and eventually rolled out on a global basis making significant impact in the ways of doing business. 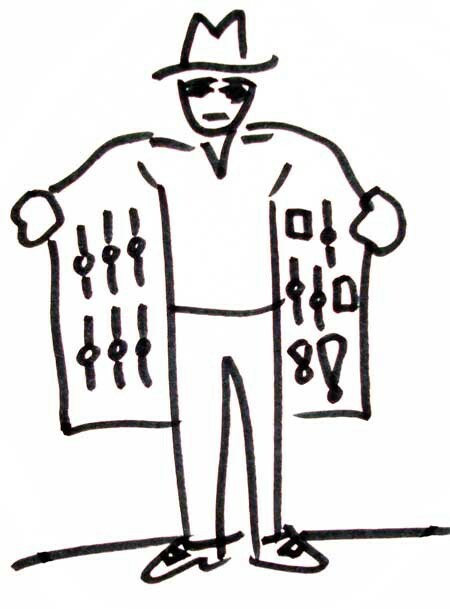 At one Technology workshop the problem of blackmarket goods was identified as key to a particular region. Sales & Marketing had already tried various campaigns and partner outreach that made only a small dent in the problem. The Technology function sat around the table and started working out a plan to investigate several different communications technologies that could be used to ID individual goods. The thought, if we can ID a good, then we can confirm its authenticity. This concept entered the stage gate process and multiple technologies were investigated — they had to be small enough to incorporate into each good, cheap enough that it could be used on millions of items and not kill margins, sturdy enough to survive international shipping, and it had to be seamlessly incorporated into an existing manufacturing process. After several iterations to determine the best technology, the company committed resources to ship one SKU with the new anti-blackmarket ID tech. At the next workshop, we discussed the pilot. It was performing extremely well. Sales were up. Consumers were actively pursuing the real goods through legitimate sales channel since they were now even more sure the goods were authentic. And as a bonus — the technology was now being used by the Marketing team for a very unique consumer engagement program. Grand slam! That success came from great leadership support and project management that can translate that divide between highly volatile early-stage opportunities and big company resource fiefdoms. On average though, I have seen more ideas that were vetted that sat on the project roadmap than I have seen positive outcomes. Yes, more Incubator participants will fail than succeed also, but I believe there are factors that make venture-style programs more likely to fail. There are three important distinctions between “venture-style” programs and incubators. First is focus. Second is mindset. Third is bias. Focus — If the team executing the project is not 100% focused on that project, you have already hurt the probability of success for something that already had many obstacles to overcome. We’ve all seen projects stall. Having the project be in addition to normal work only exacerbates the chance that it will stall. Another key factor here is the rewards system. Combining motivations for day-to-day business and this innovative project together creates disharmony in the employee’s rewards system. All it takes is for one of the project’s team members to get too busy and the whole project will fall behind and become demotivated. If you want to be successful here you need both headspace and workspace to focus on the mission. Mindset — From the outside, a startup mindset may seem magical. It’s not. It’s a matter of motivations that create that mindset. The entrepreneur focuses on one mission. Failure is not an option because there is no backup. Creativity and determination win the day. If you ever want to get a feeling for the fortitude necessary for these endeavors, read “Delivering Happiness” by Zappos CEO, Tony Hsieh. This is the main reason I believe in incubator programs. Separation is needed for focus and to create this mindset. Even if the team working on the idea is an internal team, they must feel the pressure of failure. A team that is working on a project in addition to their normal work can get their sense of motivation from success in their day-to-day delivery and rewards. They are missing a key component of entrepreneurial success. A motivation to not fail. They have a safety net. You need creative, analytical, adaptable, and determined people. It takes a special person to thrive in this environment, but the volume of what they can achieve is often outsized. Bias — Operating within the company means you are affected by the company. You are subject to political pressures, resource battles, rewards systems, and culture. One of the reasons that R&D functions partner with outside educational institutions or companies is to get new thinking. The difference between a “venture-style” program and an incubator is creating space for the startup teams to not be subject to the biases of the company. So first, you should not start by guaranteeing success and definitely not in the short term. You start by pointing out that you have zero chance at successful innovation if you do not explore. And if history is any indication of the future, then companies that do not innovate do not survive. Like a good investor, we want to diversify our way towards growth. And adding in an Incubator is a great way to do just that. So, a little carrot and a little stick? The amazing thing is that Incubators go beyond the simple trade-off, investment for exploration, mentioned above. R&D is invested in year in and year out and ideas either come or they don’t. You develop new products or services or you don’t. You spend $1 on exploration and you get $1 of exploration (this is the “No leverage in resource inputs” on the Pathways of Exploration grid above). With incubators, particularly if you focus on accepting external entrepreneurs, you immediately magnify the area of exploration covered. A quick explanation: In incubators you recieve hundreds of applications (let’s call it 500 for easy math). Each application comes with some amount of pre-existing exploration, let’s call that $1 of exploration. You choose the best options from the batch and invest in only those — let’s say 10 startups. You’ve effectively seen $500 worth of exploration for $10 of exploration. Now to pursue those opportunities you invest in them. Just like R&D you are investing in the most promising opportunites. Unlike R&D you get to see a lot more opportunities and you don’t completely own the outcome. It is a tradeoff, but quite possibly worth it to explore the world of unknowns out there. And the best part about incubators is that if built correctly there is a symbiotic relationship of energy, inspiration, and karma that has direct benefits to the rest of your company. You are actually investing across all functions (Marketing & Sales, R&D, Ops, and HR). Incubators have the potential to change the equation. That energy, inspiration, and karma should not be underestimated. I have first-hand witnessed town halls that normally are greeted with general positivity morph into an excited buzz as incubator participants and company employees mingle, share ideas, and explore. Employees who have been at the company for days or years gain from the excitement, the new ways of thinking, the ways startups handle struggles, and the creativity and adaptability they use to compete. I’ll wrap up here on should your company pursue an incubator? Is your company growing? Do you have a comprehensive view of technologies affecting your business? Are you evolving your product and services and swiftly bringing new offerings to market? If yes to all of those, then maybe you don’t need an incubator. If not, then maybe an incubator should be part of your company’s exploration portfolio. It has the added benefit of being a unique way to raise the level of energy, inspiration, and karma within your company. But, there are still other considerations before you proceed with building out an incubator program. And I’ll get into those in the next post. I’d love to hear your thoughts. Have you seen incubator successes? Failures? What worked. What didn’t? Comment here or hit me up @sthoward. Special thanks to all those who gave advice prior to my incubator launch work, those I worked with on the incubator launch (more about them in the next post), those I’ve compared notes with since, and to Tristan Mace for giving me great feedback on this.